If you landed here from ICU Highlights e-newsletter you may be looking for New protocol for respiratory infectious disease diagnosis in ICU. 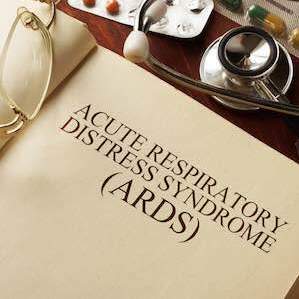 Hospital mortality in acute respiratory distress syndrome (ARDS) is approximately 40 percent, but mortality and trajectory in “mild” ARDS – classified only since 2012 – are unknown. A new study finds that most patients with initial mild ARDS continue to fulfil criteria over the following days, and nearly half of them worsen in terms of ARDS severity category over the first week. "Approximately 80 percent of cases of mild acute respiratory distress syndrome persist or worsen in the first week; in all cases, the mortality is substantial (30 percent) and is higher (37 percent) in those in whom the acute respiratory distress syndrome progresses," says the study published in the journal Anesthesiology. These findings highlight the need for greater clinical attention and the necessity to include these patients in specific clinical trials and to develop strategies to prevent worsening of ARDS severity in this population. The Berlin definition of ARDS categorises patients with partial pressure of arterial blood oxygen content to inspired fraction of oxygen (PaO2/fraction of inspired oxygen [FIO2]) ranging from 200 to 300 mmHg as “mild ARDS.” Patients with initial mild ARDS are often underrecognised and mistakenly considered to have low disease severity. 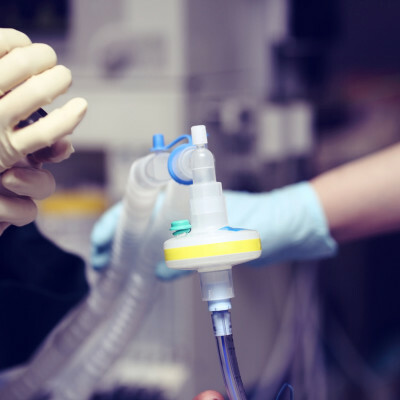 Some clinicians continue to overlook these less severely hypoxaemic patients and instead pay closer attention to patients they consider to have “actual” ARDS (i.e., moderate and severe ARDS groups). 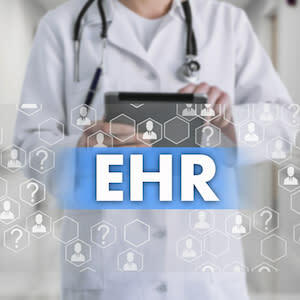 The current study, conducted by a group of international researchers, aimed to describe the natural course and the factors associated with worsening and mortality in this patient population. This study analysed patients from the international prospective Large Observational Study to Understand the Global Impact of Severe Acute Respiratory Failure (LUNG SAFE) who had initial mild ARDS in the first day of inclusion. The study defined three groups based on the evolution of severity in the first week: “worsening” if moderate or severe ARDS criteria were met, “persisting” if mild ARDS criteria were the most severe category, and “improving” if patients did not fulfil ARDS criteria any more from day 2. Among 580 patients with initial mild ARDS, 18 percent continuously improved, 36 percent had persisting mild ARDS, and 46 percent worsened in the first week after ARDS onset. Global in-hospital mortality was 30 percent (172 of 576; specifically 10 percent [10 of 101], 30 percent [63 of 210], and 37 percent [99 of 265] for patients with improving, persisting, and worsening ARDS, respectively). The median (interquartile range) duration of mechanical ventilation was 7 (4, 14) days (specifically 3 [2, 5], 7 [4, 14], and 11 [6, 18] days for patients with improving, persisting, and worsening ARDS, respectively). Admissions for trauma or pneumonia, higher nonpulmonary sequential organ failure assessment score, lower partial pressure of alveolar oxygen/fraction of inspired oxygen, and higher peak inspiratory pressure were independently associated with worsening. Evolution of oxygenation in the first week was the main criterion of the group definitions, according to the researchers, thus it was expected that patients with worsening oxygenation within this relatively long period would have a poorer outcome. "To avoid this bias, we only used classification at day 2 of ARDS for mortality analyses," the researchers point out. Predicting the evolution of patients with initial mild ARDS facilitates identification of patients that may benefit from specific managements or closer monitoring, as well as optimising inclusion criteria selection in future studies, the researchers conclude. Are 'sniffer systems' effective in detecting ARDS?